@eagle275 hdpool.com? Yeah, they're accepting new miners. Where are you getting "creation failed" ? When I click on "Register" near top right corner then enter credentials ..
would be so much easier if the error was more descriptive (like if I accidentally used an already registered username) .. but all it says "Creation failed"
Could you help me again? What do I need to do to actually mine something in this pool? - I use the same drives as in my burst coin mining - the pool has the same 0 - 100 setting - but still 0 BHD ? Do I need to and what should I enter in this "Bind Data" field ? @eagle275 Assuming HDpool, and it's similar for Hpool - go to the hdpool.com website, sign up for an account. Make a note of your API key - will be displayed on the home page after you sign in. Download the HDMiner. Extract it, configure the miner.conf as you would a Blago config, adding in the APIkey, and the paths to your plot files. Start HDProxy. 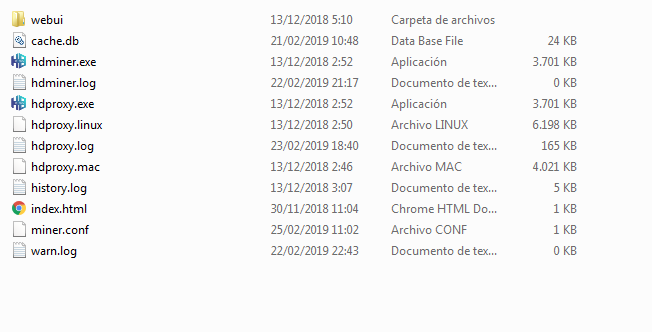 Finally make a copy of your Burst miner folder, edit the config to point to localhost:60100, and in your miner config, make sure that you have "POC2StartBlock":0 - and start the miner, you should be working. Thx for your helpful reply. Seems to work without your last steps - as I use scavenger I have no clue where to add the reference to localhost:60100 ..
Can you say something about this mortgage system and if its worth throwing massive amounts of money in for pennies of mining yield ? If you're mining on a different PC than where the Proxy is running (not recommended) then change the IP address appropriately. As for the mortgage, that is a "feature" of BHD itself, it works the same whether solo or pool mining. I would NEVER recommend anyone purchase BHD to cover the mortgage. Both pools offer a mortgage renting system that allows you to increase your earnings without having to actually own the mortgage. I always recommend using the rental system, never buy. You can choose to hold your earnings on the pool to reduce the amount you need to reduce the amount you need to rent, but again, I'd be wary about holding too much there. @naich It's been the Chinese New Year - support has been pretty much MIA for the last two weeks. @eagle275 The pools HDminer was unstable for me, a lot of crashes. The proxy on the other hand has been rock solid while mining with Johnny's fork of Blago. I do not know what I'm doing wrong, I'm trying to mine in hdpool with the time I downloaded from their website, in online miners I'm 1, the TB also marks them correctly, in Binding Status it shows valid, but after two days the balance Follow 0, is this normal? @energy You're running the HDproxy, with your account key in it, then running Scavenger pointed to the Proxy? 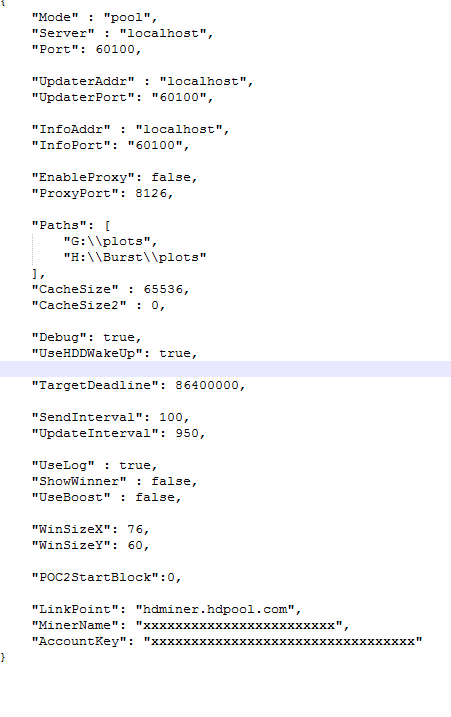 In the Proxy config you need to let it know where ALL your plot files are. if I may ask .. did you do all the steps haitch described for me in his posts ? in hdpool - does it say in the binding section "valid" ? what says the "Miners" page ? What in the "Funds" page ? took a couple of days before it actually worked for me too .. but after binding said valid I finally received my first funds . @eagle275 For the HDProxy I don't think those settings are even used - mine are the same as @Energy for the Proxy.